Plum blossom, with “jade bones, ice skin and fragrance against coldness”, is a symbol of high pure virtue in eastern culture. It has long been the favored subject by poets and artists. 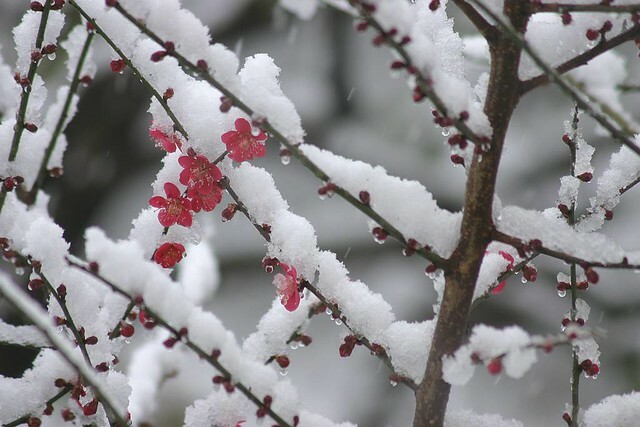 “Plum blossom is the clearest flower; Guqin has the clearest sound; to describe the clearest thing with clearest sound gives the music a feeling against the frost.” — <Bo Ya Xin Fa> Ming Dynasty. 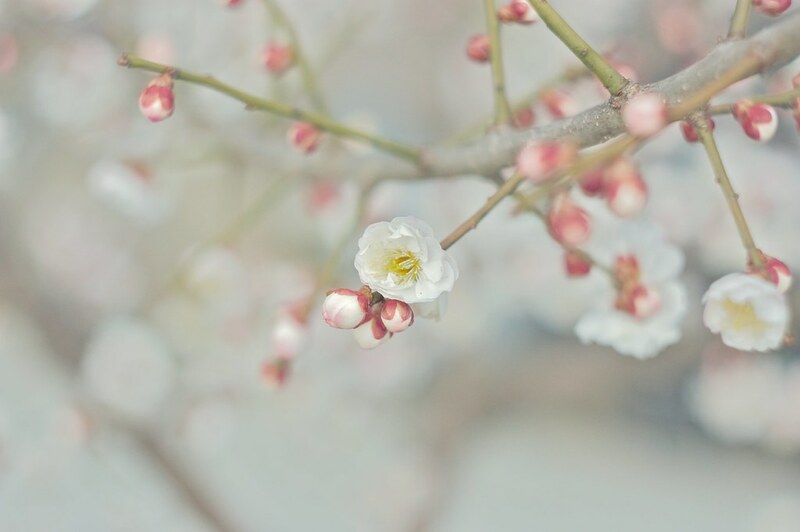 Three Variations on Plum Blossom, the best classic Chinese music on plum blossom is known to be a flute music first played by Huan Yin of East Jin Dynasty. It was adapted into a Guqin version later. There is a historical story behind the music about Great General Huan Yin played it for the arrogant noble artist Wang Hui-Zhi. It was noted in a couple of history records. Huan Yin was an eminent high-ranking general in East Jin Dynasty. However, he was also very humble and approachable. He loved music and understood the essence of music, a “top musician in Southern China” and was crowned as “The Sage of Flute”. Wang Huizhi, the son of legendary “Sage of Calligraphy” Wang Xizhi, was a brilliant and arrogant scholar at that time. Once, he was invited to the city of Jiankang (the capital of East Jin). His boat was parked at the Port of Greencreek. Huan Yin was already a dignitary at that time, but he also did know the fame of Wang Huizhi. So he got off his wagon and onto Huizhi’s boat. He sit on the performance mat, took out his flute and played Three Variations on Plum Blossom, exquisite and sublime. When finished playing, Huan Yin immediately left on his wagon. The guest and the host did not talk a single word. From this we can see the informality of social life in Jin Dynasty and how broad-minded people were then. Huan Yin was modest and elegant while Wang Huizhi was arrogant and knowledgeable. Although the two met but did not talk, it was a rare chance for them. It is the unexpected encounter of Huan Yin and Wang Huizhi that leads to the birth of eternal masterpiece “Three Variations on Plum Blossom“.